They cracked the theory tests and they demonstrated their practical skills in the pressure of a test environment: Toyota's Apprentices of the Year 2014 have earned their trophies. the Toyota UK Training Academy in Nottingham. Drawn from Centres across the country, they competed in specific skills categories representing the spectrum of vehicle servicing, parts and repair work. 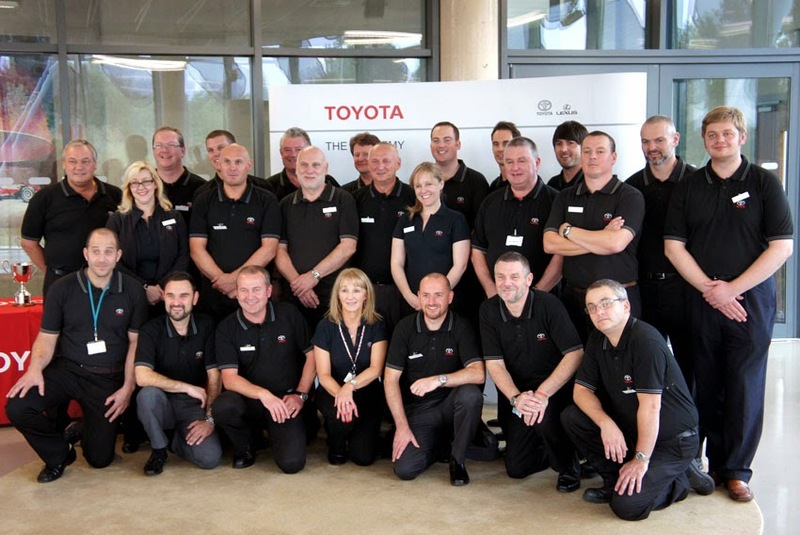 The annual competition is a key element in Toyota's programme to develop and reward the talents of its apprentices. High-quality workmanship and technical skills in the workshops are also fundamental to delivering excellent customer care and satisfaction. Toyota training also helps equip and incentivise young people to build careers in the motor trade. "The technicians taking part in this year's competition demonstrated not only excellent skills, but also a personal commitment to doing a great job. We congratulate the winners and the finalists, and are proud of all the young men and women across the country who are helping Toyota give its customers the best possible service," said Matt Harrison, President & Managing Director, Toyota GB PLC.